Digital assistants today will clearly pale in comparison to what they will evolve into. IBM is leading the charge for this next generation, and it is targeting not the home, but business. Digital assistants may be all the rage, but just like the iPod was when it launched—compared to the iPhone which it evolved into—they are a pale image of their eventual selves. In addition, they are mostly focused on consumers, while business executives, most of whom lost their secretaries a decade or so back, have the greater need. Apple’s offering, the HomePod, is even a bad joke in the home…suggesting that even a major player like Apple can’t get this right. 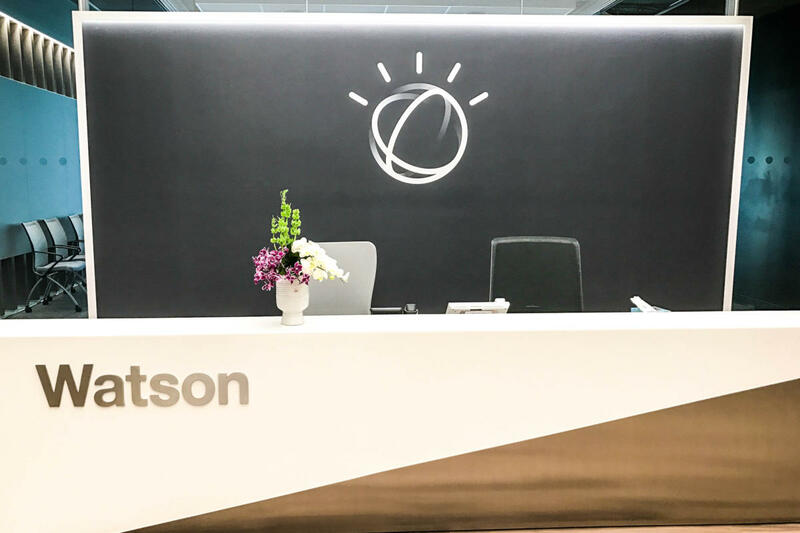 The one big hope, particularly for business is the IBM Watson Assistant. I’d hoped that Apple would extend their partnership with IBM and back end their pathetic product with some true intelligence but, sadly, that was not to be. However, at IBM Think 2018, IBM’s CEO Ginni Rometty gave us hope by disclosing that, not only are they remaining on the path of assuring AI enhances—but doesn’t replace—us, they’re bringing out a business-focused Digital Assistant based on Watson. Years ago, I proposed an idea that came out of the old ROLM “Great Place To Work” department. This old concept was, at the time, revolutionary…in that it created a group whose sole purpose was to make the company better for employees. Their keystone accomplishment was converting the annual Christmas party fund into a recreation center that was, at the time, the best in the industry. My later idea was to create a “Don’t Do Stupid Crap” department that would sit in on meetings and prevent folks from agreeing to make obviously stupid decisions. My self-serving reason was that I tend to call out stupid decisions (I once called my CEO at IBM an idiot to his face for changing the commission structure of the firm. This didn’t endear me to him or my boss even though his decision cut division revenues by 2/3rds and resulted in his termination). Given how often I’ve done this, I’m surprised I still have a career. I believe the reasons behind obviously stupid decisions are a combination of executives surrounding themselves with yes men and women, and using their gut to make decisions in areas where they are clueless. But my time in both Internal Audit and Competitive Market & Business Analysis did showcase that pointing out even an obvious mistake was career-limiting, regardless of how right you were. So, the trick was to find a way to make it, so the executive relied on facts and not their undertrained gut. Based on Watson, which remains the only AI that is focused on assuring good executive decisions at scale right now, the IBM Digital Assistant could be far more effective. This is because it isn’t threatening, and the executive or other decision-maker could us it in non-public ways. This would assure that the typical reasons they don’t ask advice from more qualified people is eliminated. These include looking weak, creating job risk due to looking incompetent, and giving power to someone that could then use this to go after the executive’s job. A digital assistant is non-threatening, has no designs on the executive’s job and it is backed—or will be—by near limitless information and foundational cases that, due to recorded experience, should lead the decision maker to a choice backed up by research not just their gut. The critical aspects of this are a combination of true AI with real intelligence so it has the experience to share, and the fact that a device tends to be far less threatening than a person. It could even be implemented like this prototype Cortana to make the tech more acceptable in the office. Leading me to this conclusion was one of the first demonstrations I was given on Watson. In the demonstration, the doctor explained a project he’d taken on as an intern to diagnose a woman in incredible pain. She had lived with this pain for years and no one had a clue what the problem was. He spent two years analyzing her symptoms before being able to come up with a solution. Once Watson was running, he entered her symptoms into the machine and 15 minutes later he had a list of probable causes. And the right one was toward the top of the list, turning a multi-year effort into a multi-minute effort. This kind of power on an executive’s desk could massively helpful in not only avoiding bad decisions but in keeping folks like me shot. Digital assistants, as they exist today, are a joke compared to what they will be in the future. IBM is leading the charge for this next generation and it is targeting business, not the home. The emergence of this on executive desktops could make the difference between a company doing well and one that is crippled by its own executive’s bad decisions.